RETIRE.FUND: Creating wealth or preserving wealth - Why chose? Creating wealth or preserving wealth - Why chose? 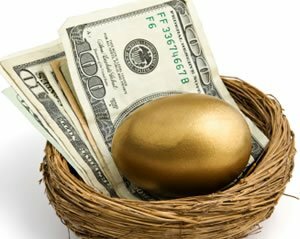 What should I do with my nest egg? Where should I invest? How should I invest? Gold, Silver, Stocks, Bonds, Funds? Can you help me decide please? These are some of the questions investors have when they seek financial help. Fund managers and bankers know these questions will be asked. They know, because they are quite familiar with the driving force behind those questions. Bankers, fund managers and money managers often break down clients into two categories. Those who want to create wealth and those who want to preserve wealth. Now, ask yourself this simple question: Are you in either camp? If so I am sure you have your reasons. Some of you believe your portfolio, which may be fairly substantial or even just adaquate, should be protected and preserved for your retirement years. That, my friends, seems to make good common sense, Does it not? Some of you, on the other hand, feel your portfolio needs to grow substantially more, so as to allow you a comfortable retirement. That also seems to make good common sense. However, these two trains of thought can be boiled down to one driving force, Fear! Fear that you will reach retirement with no appreciable nest egg to count on (the preservation of capital camp) and fear that you will reach retirement, with no appreciable next egg to count on (the create wealth camp). You see, there really is no difference in the driving force, and many fund managers know this very well. They are very adept at pushing the buttons of fear in investors. After all, fear is what made our ancestors choose between "flight or fight" when confronted by a hungry preditor. Fear is a powerful tool, and money managers are very adept at using it to drive you into decisions you might not otherwise want to make. If you fear losing your nest egg and keep your money in cash, then how do you balance that with the fear of hyper inflation that some people believe is coming. Indeed, fear is a powerful motivator, and a destabling influence. Money managers will generally place a young person in the "create wealth" camp while placing a 60 year old in the "preservation of wealth" camp. The reasons for this are generally well known ie: the 20 year old has a lot of time to make up for losses while the 60 year old doesn't. This train of thought has been developed over the past 50 years or so. So why do I take issue with it. at 59, which camp should I be in? The latter you say! In today's environment, there are 20 somethings with a lot more money than the 60 year olds. The technology of the internet has seen to that, along with government policies that continually hammer prudent savers while rewarding speculation. Just ask the millions who, having placed their nest eggs firmly in the hands of mutual fund managers, have gained exactly nothing over the past 12 years. Many have lost wealth, thniking their store of wealth was their home. I am firmly in both camps and I believe you should be too. In an embryonic state, an egg can split into two, three, four or even five different entities. Twins, triplets and quads often grow up to be strong individual entities. In other words you should consider that your "nest egg" is actually twins, triplets or quads. Maybe the first two need to be nurtured, continuously, so they can grow and grow into powerful entities in their own right, capable of taking on the world someday, by themselves. You may have one or two eggs that are already fully developed and you need only provide careful and consistant direction to ensure these fully developed entities stay on the right path to sustain their strength, and maybe even grow a little more. Investments, like life, are constantly in flux, in an ever changing environment of risks and rewards. If you take no risk, you reap no reward. If you take too much risk, you stand to lose much if not all. So why, as an investor, would you solidly place yourself in either camp? I don't! I never will! There are no guarantees in life, and really, there are no guarantees in investing. On any journey in life, you sometimes take the right road, and sometimes you veer off into the wrong path. Recognizing the difference, and getting back on the right path, is critical. Surely, if you stay on the wrong path too long, you won't arrive at your destination on time. Investing is a liquid, ever changing landscape, with scattered road bumps and pot holes. You have to be in the drivers seat to see where you are going, you have to be fully fueled (with good information) and you have to know your route. If you give someone else the wheel and the route, and sit in the back seat and fall asleep, you could end up in catastrophe. Don't give up the drivers seat to a fund manager, a banker, a stock broker or anyone else. You're in charge. Don't let go of the wheel. Placing yourself solidly in the "preservation of capital" camp only or in the "creating wealth" camp only, is akin to taking that wrong path, in my humble opinion. Yes, you have to preserve capital and Warren Buffetts lesson of "don't lose the money" is a good case in point. So how do you "don't lose the money" in this environment? Gold, Silver, Lithium, Uranium, Bank stocks, growth stocks, dividend stocks, company bonds, muni bonds, federal reserve notes, real estate, cash? Certainly, in this pre inflationary environment, cash is not the answer, but can you be guaaranteed that any of the others will, for sure, preserve your capital? I can't give you that guarantee, and no one else can either. If you are getting all of your advice from the talking heads on CNBC just remember, even a broken clock is right twice per day! If you leave your nest eggs invested in mutual funds, and walk away, then remember this! Fully 60% of "all" fund managers "do not" beat the index of the market they are invested in. Many are "closet indexers". In other words, they say they are active managers but invest your money by simply matching the index (buying the companies that make up the Index in the exact proportion as they are weighted to the Index). Usually they collect anywhere from 2%-3% of your portfolio, every year, for this so-called management. Why would you keep shoveling your hard earned money into this bloated, gluttonous industry? There is no other industry out there that is so grossly overpaid for providing so little. In other words, with today's information avalanche and trading software, "you" can pick stocks and do as well as many so called money managers. Exchange traded funds or ETFs are one of the few fund vehicles I would favour these days. Take commodities for example. Average investors in the past, would have to walk through the minefield of owning a futures account and the possibility of taking delivery of the physical commodity. Today's ETFs allow that same investor to invest in commodities such as gold (gld), silver (SIL) or lithium (LIT) or maybe in Eastern European stocks (ESR) or even long Government bonds (EDV). I am not advocating these particular ETFs, but only poiinting out how they have become another avenue that may benefit average investors as they seek ways to strengthen and deiversify their portfolios. Managed mutual funds have much higher fees than ETFs with an average MER of 2.5%. ETFs have fees that are only a fraction of those charged by fund managers. This difference in fees can erode your capital over time, and in many cases, has ensured investors have made no gains from as far back as 2000, in their managed funds. My own preference is for individual stocks (SLW), however, ETFs provide a way for retail investors to play sectors of the market they are most interested in, without the high fees of managed mutual funds.. The good new is that you can change your bet at any time, depending on the information and market intelligence you have gathered. The bad news is, that you can change your bet at any time, depending on the information and market intelligence you have gathered. I hope you get the point. You can benefit from the structure of ETFs, however, stay in the drivers seat, and do not give up the wheel to anyone else. You owe it to yourself and to your Retirefund. Posted by H. Pelham at 9:59 a.m. Some excellent points made here. Agreed if an individual wants to spend the time to acquire the necessary knowledge and spend the time doing the research then they may be able to do better themselves if they are confidant decision makers. In this case ETF's and stocks can be appropriate choices. If a person does not feel confidant and wants planning and investment advice there are going to be fees involved and if we select ETF's, charge advisory fees we have now definitively ensured we will under perform the market by the amount of the ETF and advisory fees. What percentage of mutual fund managers have equaled or bettered market performance after fees which include the embedded advisory fees? Some funds have outperformed the Canadian market over the last 10 years after fees and provided positive returns to their investors. Now granted it is difficult to know who these mangers will be in advance. When entering retirement their are additional risks that enter the picture such as longevity risk and sequence of returns risk. Now if you have a huge nest egg these risks may not be relevant except with respect to legacy planning. Additionally if you have guaranteed sources of retirement income such as a pension that will provide you with the lifelong income you need then these risks may not be as large an issue. If these circumstances do not apply to you then preservation may take more of a role along with guaranteed income products such as annuities or variable annuities. As usual I enjoy and learn from your well researched and informed opinions. March 3, 2011 at 10:36 a.m. Excellent points Rick. Thanks for your input and expertise. March 4, 2011 at 5:25 p.m.
TLH.TO any clue why is it down? March 9, 2011 at 5:04 p.m. I have no direct information on the dip in TLH at present except to say I took some profit when it went over $7 and I suspect others did as well. Also, the $80 Mil financing for the doubling of production at Ŋreenbushes and dev of Salares 7 would also have placed a short time damper on stock price. That will change. I bought more TLH last week and this week, on the dips. Cormack securities has iniated coverage of Talison with a BUY recommendation and a $7.50 price target. I still expect a much higher price by summer but only time will tell. March 16, 2011 at 11:04 a.m.